A therapeutic efficacy for the first stages of pressure ulcers, a patented system for the automatic and continuous calculation of the inflation pressure, discover the new Axtair One® Plus air mattress. Winncare acquires Mangar: major player in the UK for lifting and mobility assistance. Winncare announces the acquisitions of Mangar Health, a company based in Wales, which employs 70 people and provides a range of assistive lifting equipment and mobility aids. A patented system for the automatic and continuous calculation of the inflation pressure, fitted with a comfort adjustment and four heel supports, it is the only “made in France” therapeutic mattress for patients up to 165 kg. 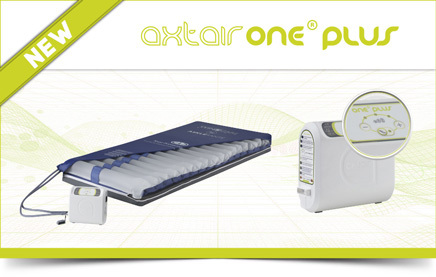 The Axtair Automorpho® air mattress with Axensor Technology is a new generation of communicating and fully automatic dynamic mattress.